For better or for worse, modern technology has changed our lives, and it’s definitely here to stay. Is it always a good thing? After all, there are news reports of children getting fixated on mobile video games on their tablets, or studies that show that handwritten notes provide better retention and learning than notes typed up on a laptop. Technology has plenty of utility in the classroom, but it poses its own problems for teachers and students. Take a quick look at the pros and cons of technology in education in our latest video. 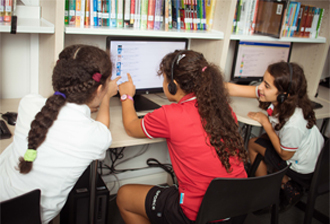 Swiss International School Dubai fully integrates technology into its curriculum, through innovative facilities that students may access both during and outside of class hours. It weaves technology into the bilingual International Baccalaureate curriculum, which promotes analytical thinking over textbook-based learning. Through its expert use of technology, Swiss International Scientific School in Dubai aims to make learning stimulating and engaging, as well as provide students with experience in handling modern technological tools, that will prove essential to an increasingly technically-oriented, globalized world.